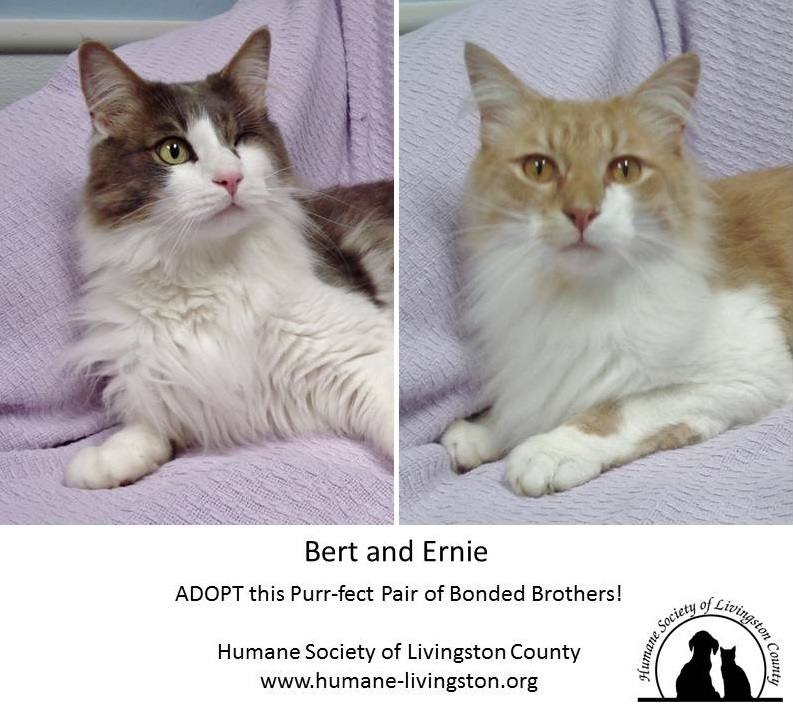 Brighton Ford : Brighton Ford Pets Of The Week: Bert and Ernie - We Are A Purr-fect Pair Of Gentle, Playful 3 Year Old Brothers! Brighton Ford Pets Of The Week: Bert and Ernie - We Are A Purr-fect Pair Of Gentle, Playful 3 Year Old Brothers! We are Bert and Ernie, a bonded pair of very sweet, gentle 3 year old brothers looking for a loving home where we can stay together! We were surrendered when our owner passed away and we had nowhere to go. We are both very friendly, easy to handle, and playful too! Bert lost an eye when he was younger, but it does not seem to bother him at all…you may just think he is winking at you. We get along great and would be so happy to be part of a loving, forever family! Together, we are a Purr-fect Pair of brothers born in 2014!